Maria Burns Ortiz is back from the White House Summit. 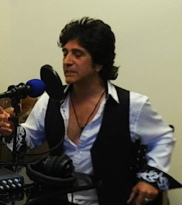 She and AnnMaria De Mars are joined by Terry Ilous, who gives us the back story on being a More Than Ordinary rock star , as well as the full version of the song Heaven and Hell that you heard the teaser from last week. As mentioned in the podcast, Terry's PledgeMusic page can be found here.